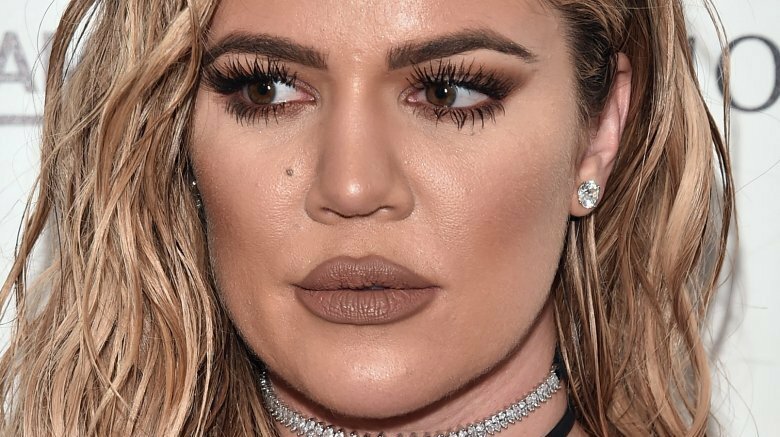 Khloé Kardashian is speaking out. On Monday, June 25, 2018, the Keeping Up With the Kardashians star took to social media to make a rare comment about her relationship with boyfriend Tristan Thompson amid his cheating scandal — namely, addressing her decision to stay together. "Not exactly Queen Persia, you have no knowledge of what goes on in our household or the enormous rebuilding this takes to even coexist," she tweeted in response to a fan who had expressed her disappointment in the reality TV star while calling her a "hypocrite." The Revenge Body star added, "I'm proud of my strength. I appreciate your opinion and I hope you hold that same opinion to everyone else who has stayed in situations." The interaction luckily ended on a positive note, however, after the fan in question apologized. As Nicki Swift previously reported, the Cleveland Cavaliers star was caught on video allegedly cheating on his then-pregnant girlfriend with multiple women just days before they welcomed their first child together, daughter True, in mid-April 2018. In the following weeks, several other infidelity reports surfaced. Since the scandal first broke, Kardashian, 33, and Thompson, 27, have understandably kept a relatively low profile, as they privately navigated their high-profile relationship and became parents to their baby girl. In recent months, the new mom and her basketball pro beau have made only a handful of public appearances together. However, following the family-of-three's recent move back home to Los Angeles from Cleveland, Ohio, they seem to be going strong. The allegations will reportedly be covered on the upcoming season of KUWTK, which is set to premiere sometime this summer. In the meantime, Kardashian herself seems about ready to move on. As she continues to heal from the highly publicized ordeal, she's remaining focused on motherhood and has kept fans updated on her post-pregnancy workout regimen.